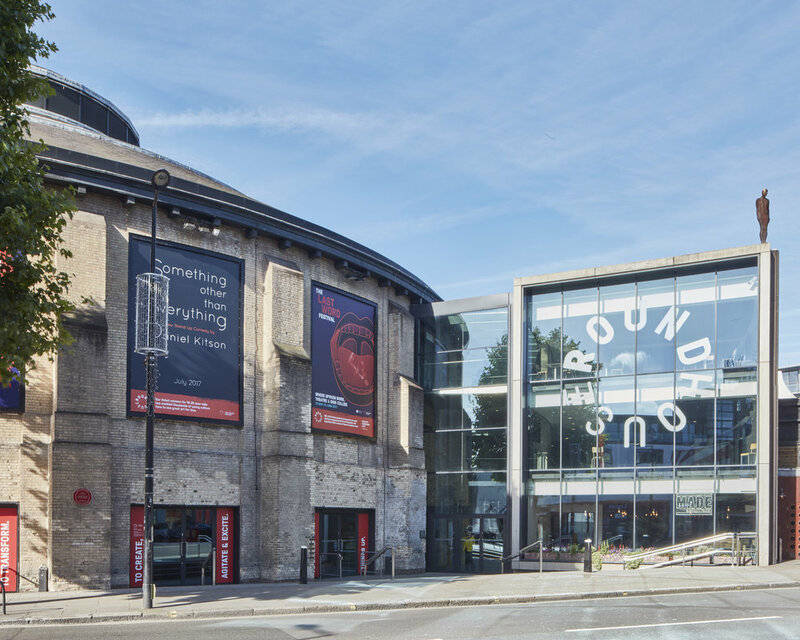 The Roundhouse (Grade II* Listed) was originally built in 1846 as an engine shed, and it is an outstanding example of mid-19th century architecture. The Roundhouse also represents the epitome of major changes to social and economic history occasioned by the railway era and beyond, up to the present day. In the playwright Arnold Wesker adapted the building as a theatre after establishing the Centre 42 Theatre Company. 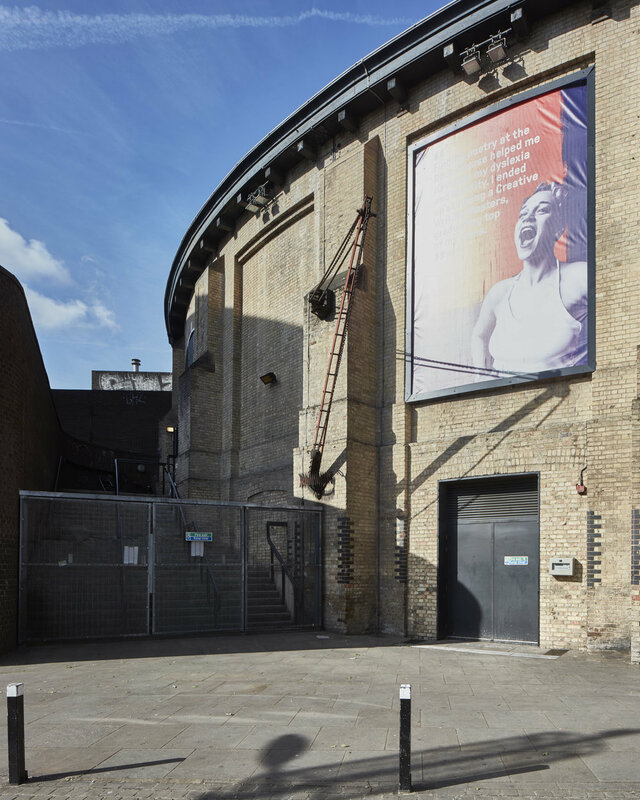 In the 1960s the Roundhouse became well-known as a major performance venue hosting such acts as Jimi Hendrix, Pink Floyd, Peter Brook and The Living Theatre of New York; it closed in 1983 due to lack of funds. The Roundhouse lies within the Regents Canal Conservation Area, the character of which is largely derived from the almost hidden nature of the Regents Canal. The canal is classified as a public open space and a site of nature conservation area. Application for Heritage Lottery Fund (Project Planning Grant) in 2001-05; and on-going heritage advice for further HLF grants and alterations. The Schedules of Condition facilitated the preparation of the Schedule of Repair/Works, including the reinstatement of features of special interest from historical evidence, such as the locomotive entrance bay and the circular glazed roof light. The Conservation Plan encompassed the existing building and immediate environs of the Roundhouse. It included: historical research; morphological plans depicting the evolution of the building; statement of significance; issues and vulnerabilities; and policy development to inform future development (Heritage Lotteries Fund format). The Conservation Plan was prepared in support of a Heritage Lottery Fund application. The Plan was a vital tool for the continuing maintenance of The Roundhouse and was used to prepare proposals for continuing care and conservation of the fabric.